A fireplace can be the last thing you need to make your home feel complete. Cozying up by the fire at night on a cold fall day just feels right. Fireplaces have been a feature in homes for centuries. In colder climates, a fireplace is synonymous with home, warmth, and family. An easy and affordable way to bring the feeling of the fireplace into your home is with an electric fireplace. You don’t even need to own your own home. Electric fireplaces can be installed and used in apartments and brought with you when you decide to move. There are a number of reasons to consider the benefits of an electric fireplace. 1. Easy Installation – An electric fireplace is easy to install. On average, building and installing a traditional, wood-burning fireplace will cost the homeowner over $10,000, much of it due to the expensive stonework that will need to be built, as well as hiring a professional for the job. By comparison, a gas fireplace costs about $4,500, half for materials and half for installation. An electric fireplace is the easiest and most affordable option. Decide where you want to put it and plug it in. Many electric fireplaces come as part of a TV stand. 2. Affordability – Some of the costs of buying and installing other types of fireplaces have already been discussed above. An electric fireplace is your most affordable option. The price depends a lot on what surrounds the fireplace – whether it’s wall mounted, part of a TV stand, or with its own hearth. From economy to deluxe, electric fireplaces are a great deal. 3. 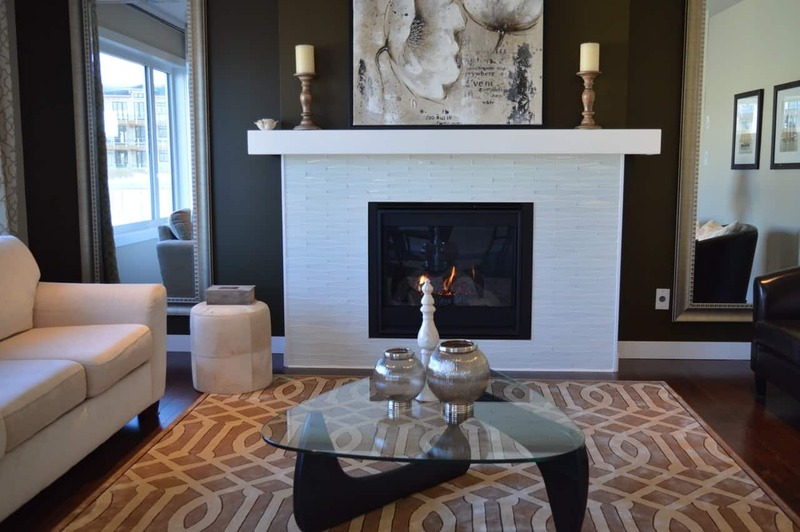 Low Maintenance – Electric fireplaces are easy to use. Just flip a switch and watch as the flames come to life. Electric fireplaces are also incredibly low maintenance compared to gas and wood fireplaces. You don’t have to clean up ashes or clean the chimney. Regular chimney maintenance on a wood-burning fireplace is essential to prevent a fire from breaking out in the chimney. You don’t have to worry with an electric fireplace. 4. No Fumes – Worried about fumes or gas leaks from a wood-burning or gas fireplace? If there are any issues with ventilation, a fireplace can quickly become deadly. Wood smoke can have a variety of health effects, the most alarming of which is carbon monoxide poisoning. While that’s extreme, low-level exposure to fumes can irritate the eyes and lungs and worsen asthma symptoms. Electric fireplaces are a safer option if you’re concerned about fumes not making their way out of your home. 5. Design Choices – You have plenty of design options when you buy an electric fireplace today. Deluxe electric fireplaces can be installed as part of a stone wall to imitate the look and feel of wood-burning, or you can get them conveniently in wood TV stands. The options are endless with an electric fireplace. The benefit of an electric fireplace is that it’s easy in every way. If you want an affordable fireplace with easy installation, low maintenance, no fumes, and plenty of design choices, go electric.